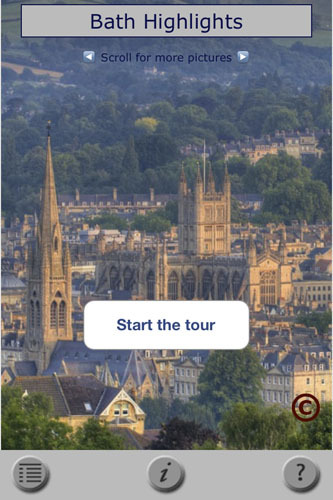 Available from the App Store the Bath App is a richly illustrated guide to 8 of Bath's key attractions. With many specially shot photographs of each site the app is a useful self-guided walking tour of the essential sights of the city. With background information on the sights and a visual guide to the route the app will be a useful tool for the visitor. Now a set of 6 postcards. Please email me at rob@robcousins.com for details. ©2019 Rob Cousins Photographer copying or reproduction without permission prohibited.